FLOYD CO., Ind. (WHAS11) — An Indiana Congressman is pushing to let farmers protect their livestock from vultures. A Floyd County farmer said the threat is real and federal law prevents them from taking action until after newborn cows are destroyed by the birds. On this hot Southern Indiana day, farmer Dennis Konkle is out to check on the herd. It’s hard to fully appreciate what these animals mean to stewards of the land unless you’ve nurtured them, helped in their birth and given them medical care, all the while understanding that you cannot get too attached. After all, they’re the source of your livelihood. On these summer days, Dennis finds himself looking to the skies, not just for rain and weather that could become a threat to his cattle, he’s looking for predatory birds. 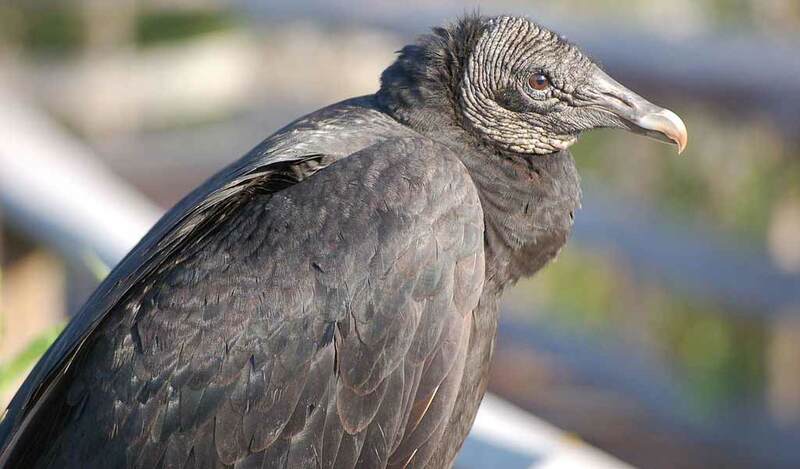 Black vultures are known to make their way through our area and much of the Southern United States. Unlike their cousins that primarily feast on dead animals, the black vulture will attack small, live animals and they’ve acquired the taste for newborn calf. Wildlife experts say the birds attack the helpless calves, blinding them to disable the young animals, before finishing off the kill. Calving season, Dennis says, is like ringing a dinner bell for black vultures across the countryside. Konkle Farm, near Greenville, was not the only local farm that experienced a black vulture attack or a close call so when local farmers met with Representative Trey Hollingsworth at a roundtable they asked him if there was anything he could. Indiana’s 9th District Congressman is trying to get legislation passed in the US farm bill. Hollingsworth filed an amendment to the farm bill that he says would allow for those in impacted states to apply for permits before the calving season so farmers could legally shoot the birds they see as threats. Dennis hopes the amendment makes its way into the final bill, if not, it would be four more years before the next farm bill and each year he has only so many opportunities to make a profit on the farm. To read the amendment that has been filed, CLICK HERE.